Lightly grease 10-12 dariole moulds or small ramekins (no 1 size) and line the bases with baking paper. Combine the dry ingredients and the wet separately. Stir the wet into the dry. Mix well. Spoon into the prepared moulds. Place in a large roasting pan. Pour hot water into the pan to halfway up the sides of the moulds. Cover tightly with foil. Carefully lift into the oven and bake for 1¼ hours. Remove the roasting pan from the oven and allow the puds to cool in the water. 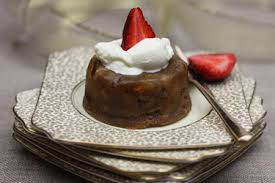 Remove the puds from their moulds and store in an airtight container in the fridge for up to 3 weeks or freeze. Reheat in the microwave before serving. 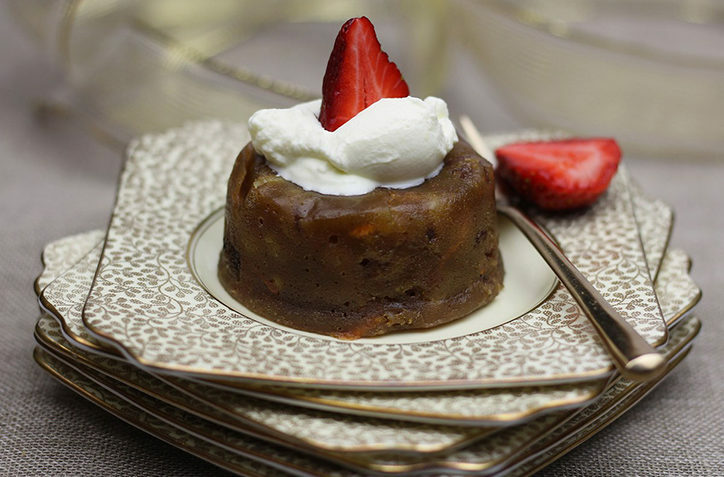 Great served with custard or whipped cream.